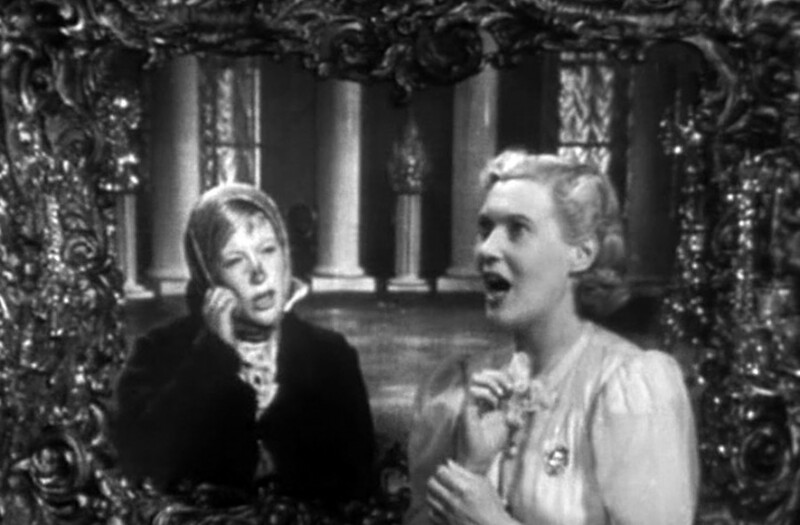 During the 1930s and 1940s musicals were all the rage in America - Russia wanted a piece of the action so the country created its own, combining the glamor of the West with state ideology. Vladimir Lenin once proclaimed that cinema was “the most important art” because it spoke to the masses; in other words, it was a propaganda machine. The idea of the “new Soviet man,” a selfless citizen devoted to the communist ideology, took centre stage and rags-to riches stories, patriotic songs, and plots about collective labor became typical features of Soviet musicals. Despite the ideological message, these musicals were entertaining because they lifted the spirits of ordinary citizens and provided a utopian fantasy, an illusion of happiness. The perfect mix of comedy, music, and romance was enough to get the nation hooked. 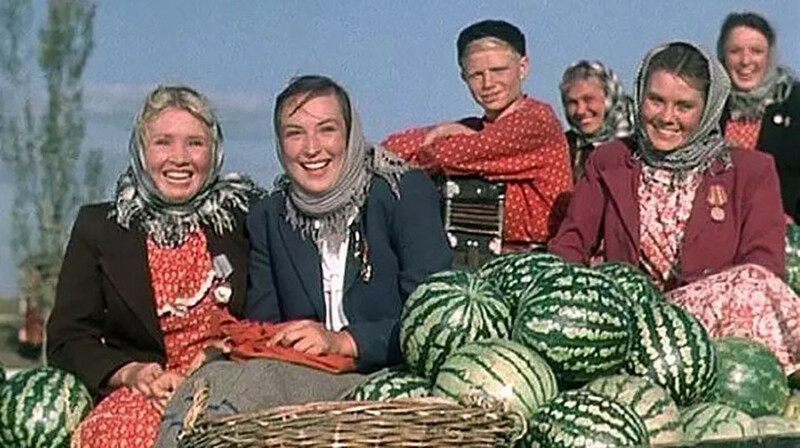 Here are five timeless classics from the Soviet period. Grigori Aleksandrov came up with the idea of making the first Soviet musical following a trip to Europe and the U.S. with the film director Sergei Eisenstein and the cameraman Eduard Tisse, where they familiarized themselves with the components of Western sound films. Eisenstein, who met Walt Disney and Charlie Chaplin in Hollywood, was hoping to make a film adaptation of An American Tragedy, a novel written by Theodore Dreiser. Aleksandrov often watched Hollywood musicals and was fascinated by this new genre. 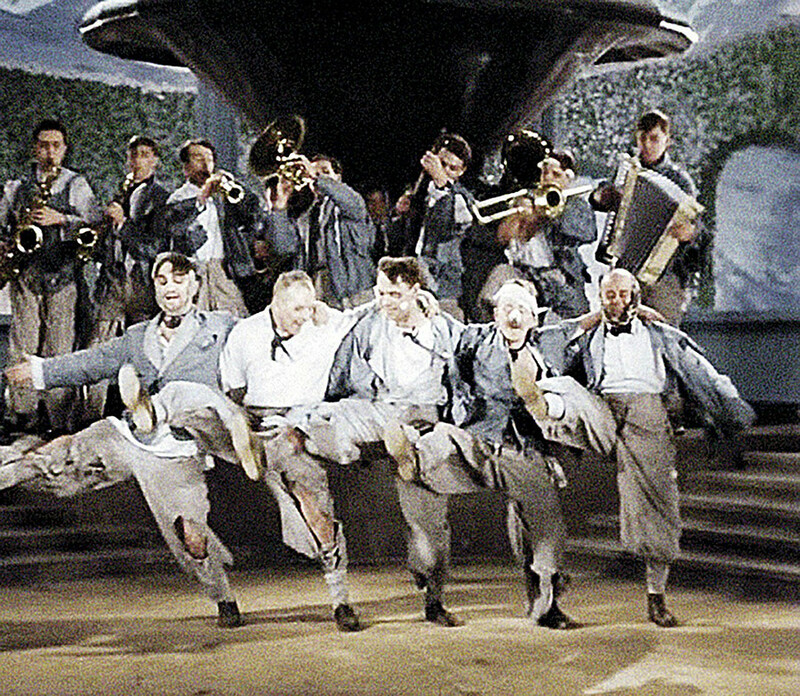 Jolly Fellows was largely influenced by Hollywood, yet it also offers a unique take on the classic musical by incorporating songs and even a scene of “musical fighting,” which later featured in all film books. 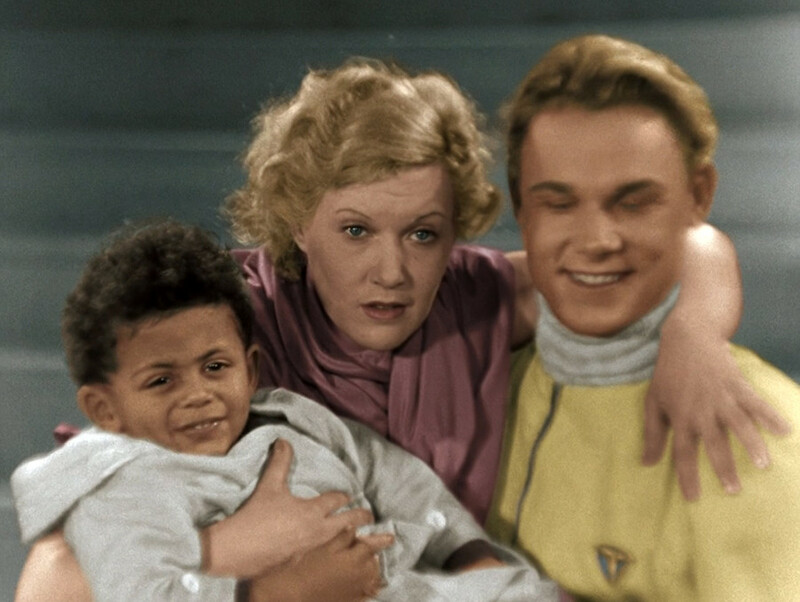 Lyubov Orlova, the film’s heroine, takes on the role of an American circus artist who becomes a social outcast after giving birth to a black child. She finds refuge in the USSR and ends up becoming a star of the Moscow Circus, performing a death-defying stunt as a human cannonball called “Flight to the Moon.” The musical is an artful combination of melodrama and comedy and is remembered for its emotional lullaby scene, a song of love and acceptance for the child. Most Russians will also have heard “Song of the Motherland,” a popular patriotic song first featured in this musical. Set on a steamboat on the iconic Volga River, this is a story about two musical groups from a fictional town called Melkovodsk, who plan on competing in an amateur talent contest in Moscow. In the film we see a band of folk singers go up against a rival classical orchestra in a bid to prove their musical superiority. 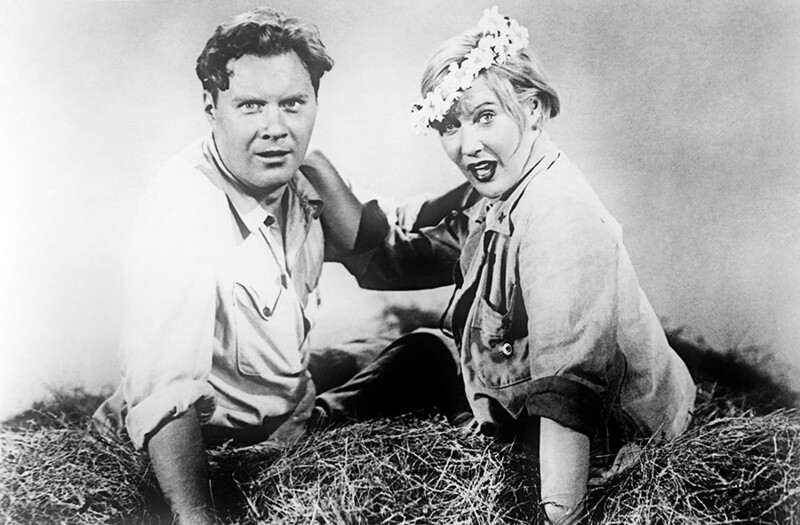 This slapstick comedy is full of catchy musical numbers and Stalin loved the film so much that he sent a copy of the film to President Roosevelt during the war. According to popular belief, Charlie Chaplin himself came up with the name of the film. While Aleksandrov was on a boat with him in San Francisco, he sang and translated the song “Volga, Volga, our Mother river” into English. 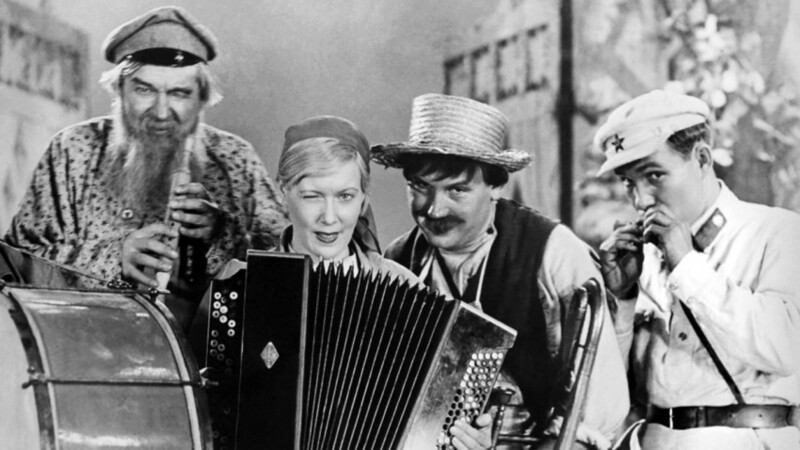 Chaplin liked the song so much that he told Aleksandrov that “Volga-Volga” was the perfect name for his film. If you’re looking for a film based on a classic fairy-tale, but with a Soviet twist, then this is the film for you. This Cinderella-like story recounts the life of Tanya Morozova, an illiterate village girl, who dreams of a more fulfilling life. We see her rise up the ranks through hard work and dedication from a humble servant to a factory worker to deputy of the Supreme Council. Ivan Pyryev, the director of the film, drew inspiration from Russian folk culture and created films with rural settings. This movie in particular, starring the director’s wife Marina Ladynina, is set in the heart of the Kuban region. Two rival collective farms compete for the best harvest, but whilst tensions run high, an unexpected love affair blossoms between workers of each farm. It’s a Soviet take on the classic Montague-Capulet feud, but will this love story end in tragedy or marriage?